WWF-India’s Andhra Pradesh State Office has been active since 1972. This is their second publication after Sacred Groves of Andhra Pradesh which was published in 1996. 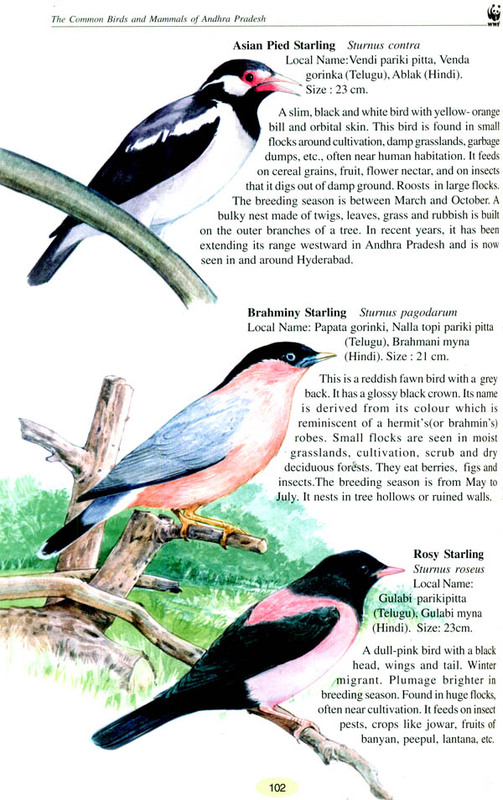 The simple writing style and fully coloured and hand-illustrated format of The Common Birds and Animals of Andhra Pradesh will appeal to high- school students, amateur naturalists, tourists and first-time visitors to wilderness areas. What Pandit Jawaharlal Nehru said four decades ago rings truer today more than ever before. Our country is a land of plenty-having an area of 3.27 million sq km , where every possible kind of ecosystem, deep rivers, rich mineral reserves, high mountains, thick forests and vast deserts are represented. At times this large canvas overwhelms us making it difficult to perceive Nature’s intricacies. Hence let us take up one state among the 28 and 7 union territories in India, and study what we commonly find here. Andhra Pradesh is a land of vast geographic diversity- the arid Deccan Plateau, the broken range of the Eastern Ghats and Nallamalai Hills, seashores along the Bay of Bengal and the mighty Godavari and Krishna rivers create habitats suitable for a wide range of flora and fauna. The state is well endowed with species diversity including one relic species and a few endemic plant species like Cycas beddomei and red sanders (Pterocarpus santalinus) and animal species like the golden gecko the shy and elusive slender loris (Loris tardigradus) is found in the districts of Kadapa and Chittoor. Yet, the knowledge of these rare creatures and their more commonly occurring relatives is shared by very few people. In spite of being home to such special species, Andhra Pradesh does not rank very high as a priority area for conservation in India being grossly overshadowed by the internationally recognized and deeply studied biodiversity hotspots, the Eastern Himalayas and Western Ghats. The presence of these hotspots does not by any means lessen the conservational importance of Andhra Pradesh. Before we attempt the herculean task of conservation, let us spare a few moments and familiarize ourselves with the more commonly found fauna of Andhra Pradesh. 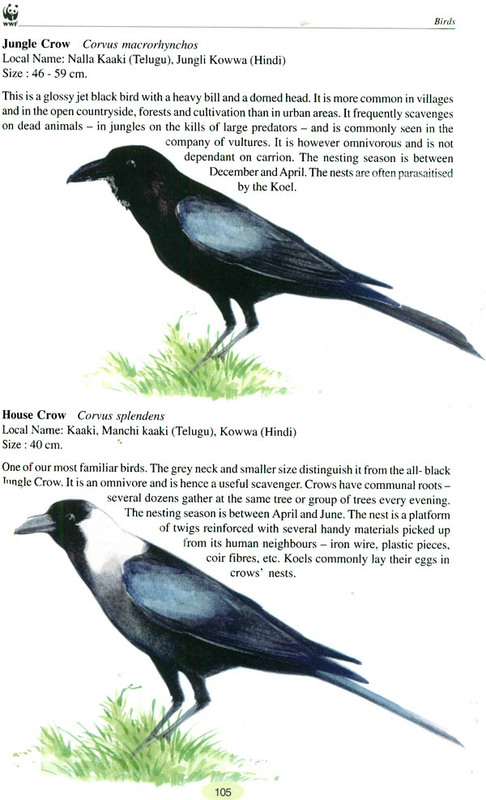 This field guide will introduce you to the commonly found birds and mammals of Andhra Pradesh, many of which you might already be familiar with, and some whose existence was unknown to you before now. The use of this book surpasses the political boundaries of the state. In fact, the birds and mammals depicted in this book area also distributed in other parts of the Indian subcontinent. It must be made clear at this point that you might come across species of birds and mammals that do not find a mention in this book. This neither lessens their conservation importance, nor does it necessarily mean that you have discovered a species new to humankind. In this book we have simply attempted to put forth a representation of what is common to Andhra Pradesh. 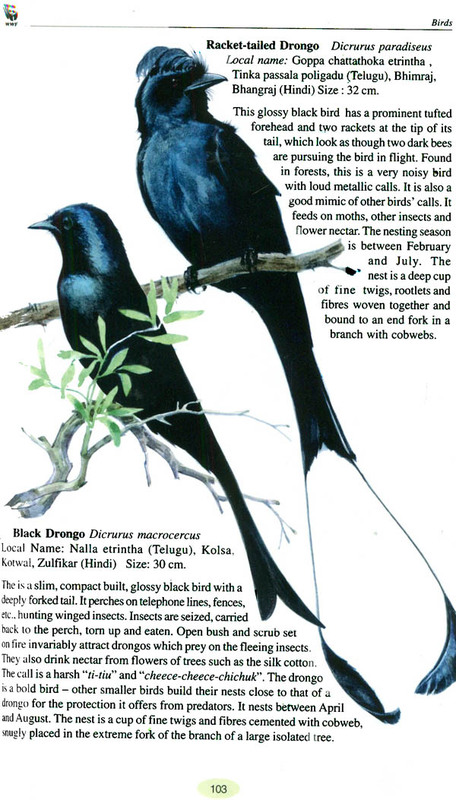 This book goes beyond merely describing the 180 odd birds and 60 odd common mammals of Andhra Pradesh. It also describes in detail the ecosystems present in our state, their geographic locations and faunal diversity, giving our readers a chance to experience varying landscapes and their inhabitants. 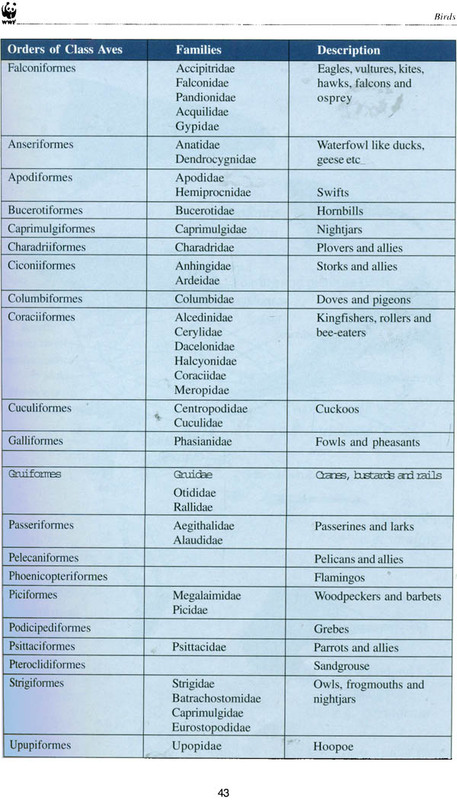 The species described in this book have been arranged according to the widely accepted classification. 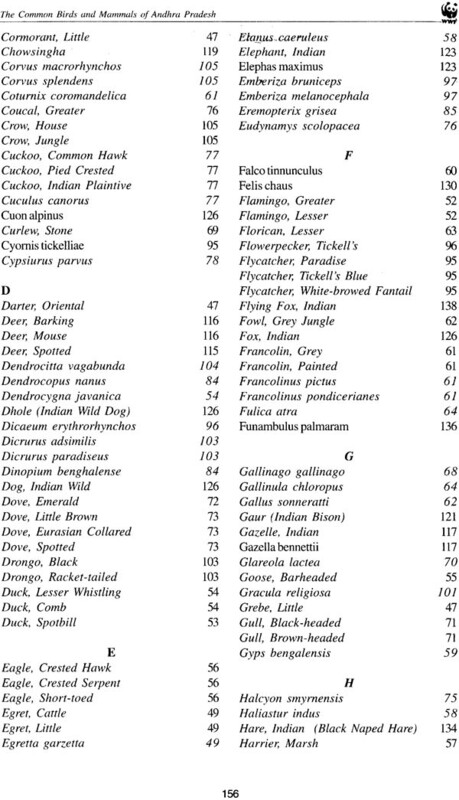 We have also put together charts for understanding how birds and mammals are classified. This classification will be of interest to biologists. Descriptions are placed adjacent to the images and follow the same sequence as the classification. The birds are described by their physical characters, their habits and breeding behavior. Mammals are also described in much the same way. 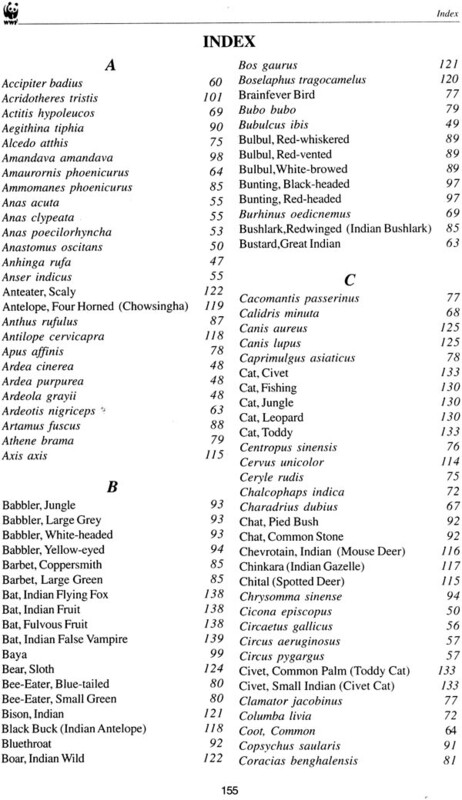 The size and vernacular names of mammals also find mention in the book. 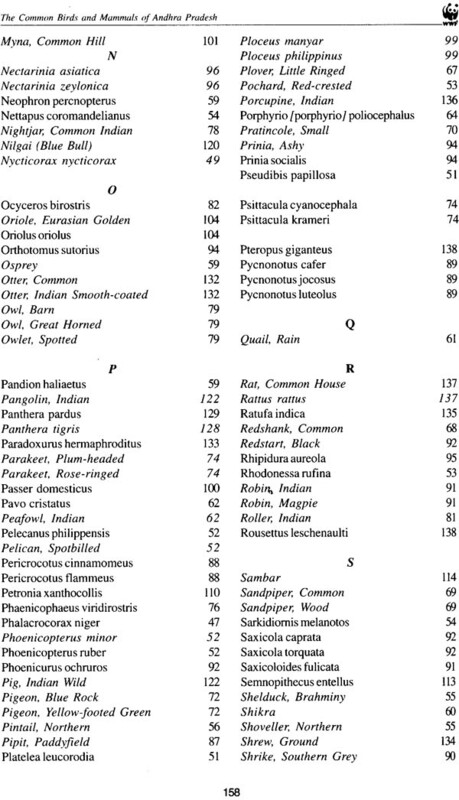 The section on common mammals draws deeply from ‘Book of Indian Animals’ by S. H. Prater. 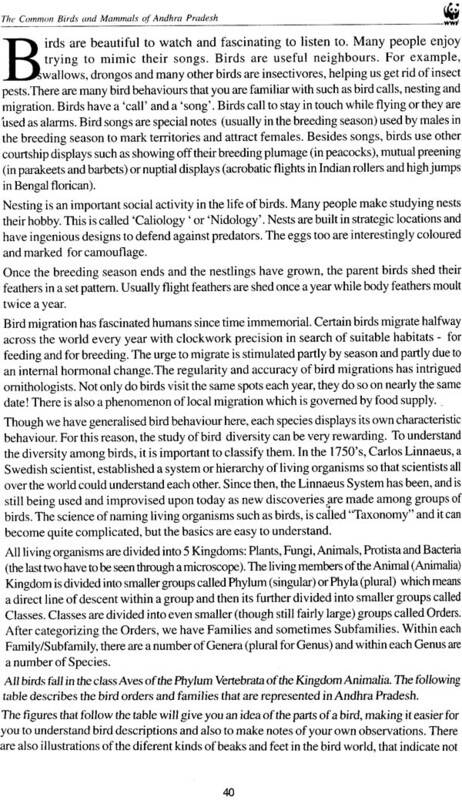 The birds are arranged as per the BUCEROS Envis Newsletter for avian ecology. As you browse through the book, you might notice that the artist has taken special care to illustrate habitats in the backdrop of the animal so as to give a clue to the habitat preference of the creatures. For example, doves are shown sitting deep among thick leaves, while shrikes are seated on leafless branches. Wherever possible, we have tried to show animal sizes proportionate to each other on the same page. This was not possible in certain cases where the animals had a vast size difference and showing them proportionately would mean compromising on the clarity and details of the illustration. A handy index at the end will help readers navigate through the book. 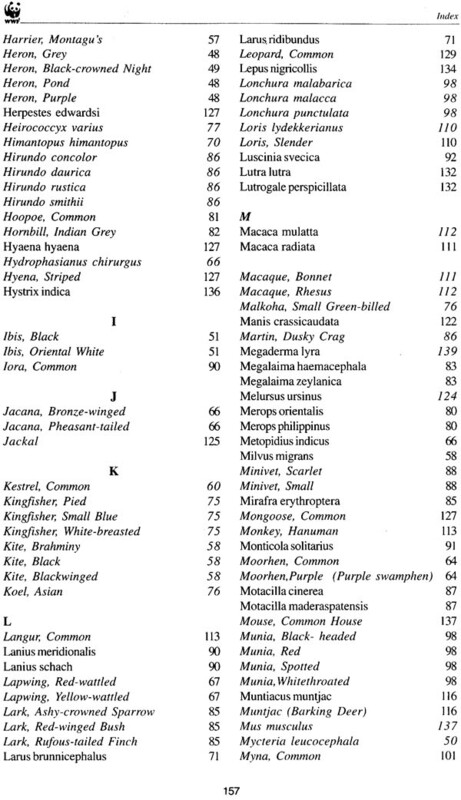 Both common and scientific names are listed in it. As you discover more and more about the species diversity of A.P., you are bound to get curious about places you might see them in. Hence we have dedicated an entire chapter on the National Parks and Wildlife Sanctuaries in Andhra Pradesh. 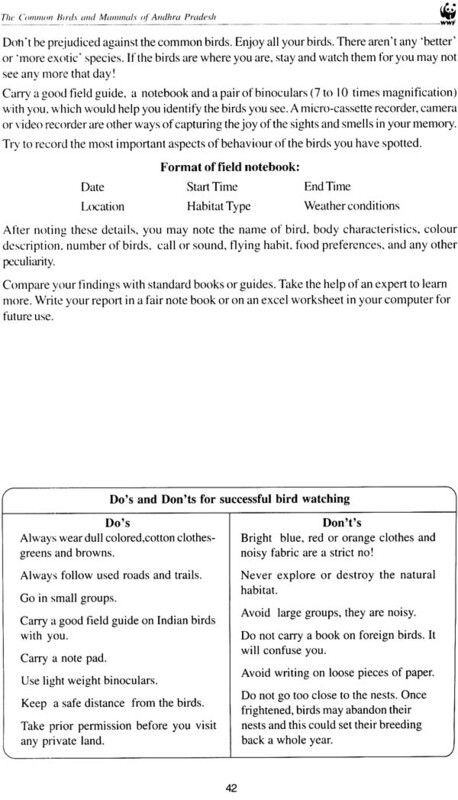 Each protected area has note on how to reach there, when to visit, whom to contact and what wildlife could be sighted. This chapter will assist you in your exploration of wilderness areas of the State and gain memorable experience in the field. We have not treated this book as simply another field guide; one of the purposes of book is to draw young readers toward meaningful conservation. If you have an interest in getting involved with wildlife research or conservation, you will find our list of local and national wildlife NGOs helpful. We have dedicated an entire chapter on Scheduled animals. This chapter describes the provisions in the Indian Wildlife (Protection) Amendment Act, 2002, No. 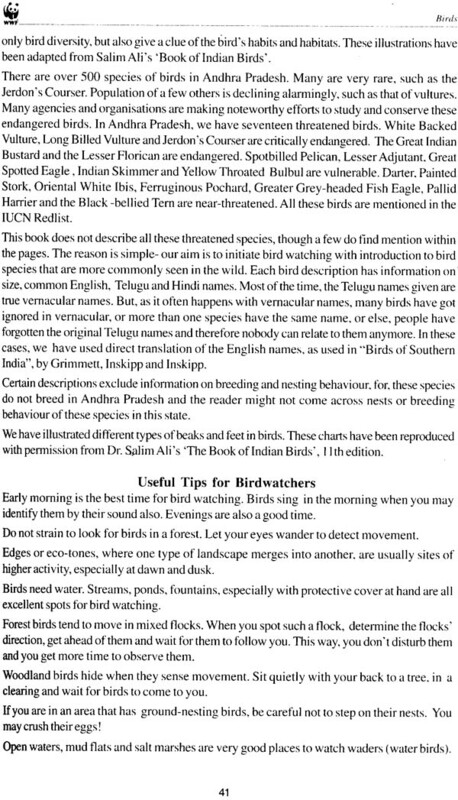 1 of 2003 and the IUCN Red List. The purpose of the Act and the reason for placing flora and fauna in a particular schedules is also explained. This chapter can make a handy reference for understanding the value of a certain bird or animal and the dynamics of its relationship with humans. 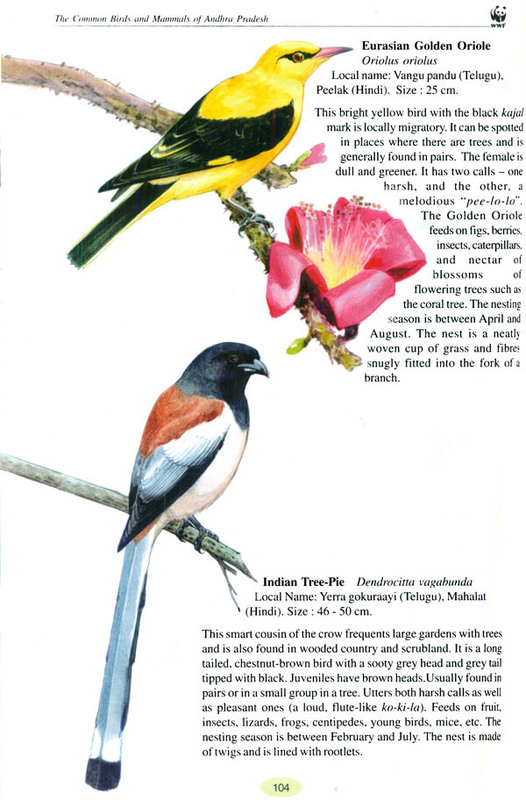 Though we have quite a few species in the state that are rare enough to find mention in these listings, we have described the status of only those common birds and mammals that have been described in the book. Nevertheless, you might find this chapter useful for reporting wildlife related crimes or conservation efforts you may have witnessed.